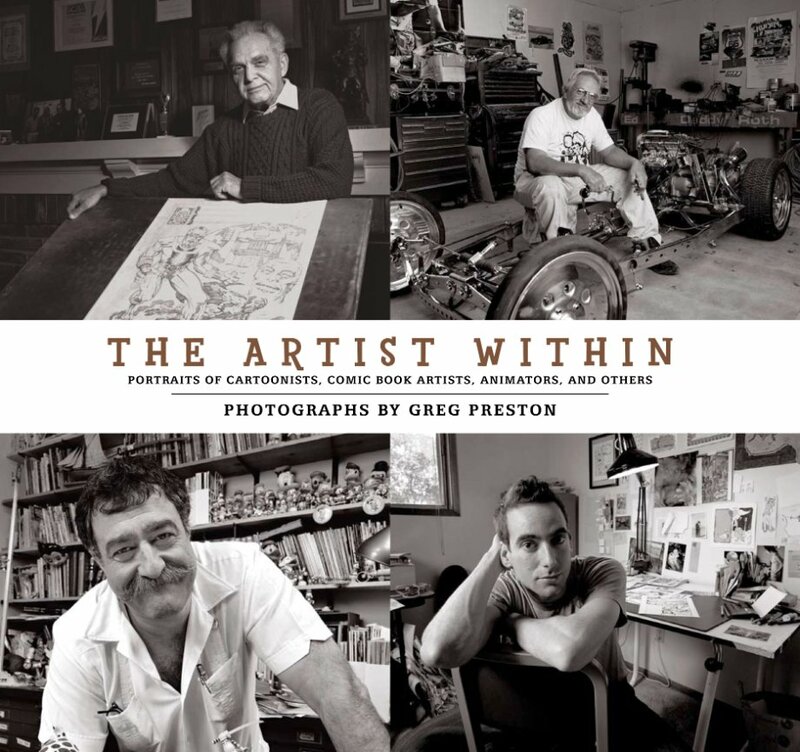 "The culmination of more than fifteen years of photography by renowned photographer Greg Preston, this book is a living history of the men and women who have shaped the imaginations of countless millions of people around the world through their work in the fields of animated cartoons, comic books, comic strips, and editorial cartooning. The list of artists includes such luminaries as Frank Miller, Al Hirschfeld, Joe Barbera, Jack Kirby, Joe Simon, Moebius, Walter and Louise Simonson, and many more, all in photographs exclusive and shot expressly for this book." This price includes shipping in the U.S.